The annual Faculty Research Lecture is the foremost academic research honor bestowed by the UC Santa Cruz Academic Senate. Trained in linguistics at Harvard University, Chung’s research focuses on syntax and semantics, and her contributions are empirical as well as theoretical. Her work helps explain similarities and differences of word order and agreement across languages, and their implications for communication and meaning. Chung noted that her lecture will focus on Chamorro and touch on some of the larger theoretical and socio-political issues that frame her research. An internationally renowned scholar, Chung is a past president of the Linguistics Society of America and a fellow of the American Association for the Advancement of Science (AAAS). She has received several National Science Foundation grants, and her affiliations beyond the University of California include the Max-Planck-Institut für Psycholinguistik. She was honored with the Governor's Humanities Award for Preserving Traditional Cultural Practices (U.S. Commonwealth of the Northern Mariana Islands), and is a former Lansdowne Scholar and Fulbright Scholar. Chung has served as an editorial board member for several top-tier journals, including Linguistic Inquiry, Language; Language and Linguistics; Te Reo; and the Journal of East Asian Linguistics. She has also delivered more than 70 papers at conferences, professional meetings, and universities in the United States, New Zealand, Indonesia, Jakarta, Europe, Japan, Taiwan, and the Northern Mariana Islands, and has authored or co-authored over 40 peer-reviewed articles and book chapters. 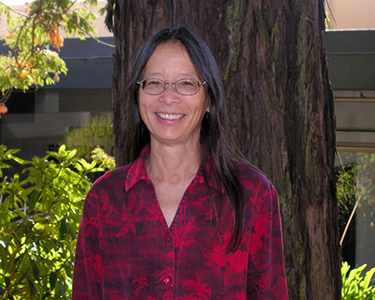 Since joining the UC Santa Cruz faculty in 1986, Chung has served as chair of the Linguistics Department, chair of the Philosophy Department, and chair of the Committee on Academic Personnel. In addition to teaching syntax courses for the Linguistics major, she also teaches undergraduate classes in logic, poetics, and historical linguistics. A reception in the lobby will immediately follow the lecture. Admission is free and open to the public.